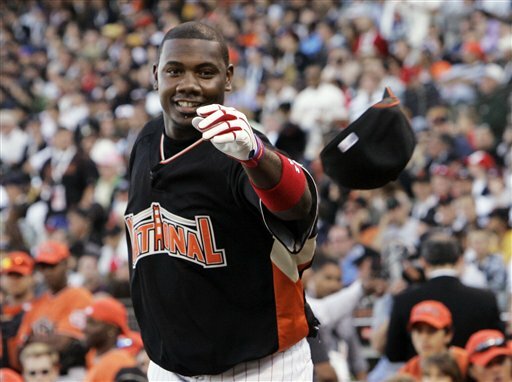 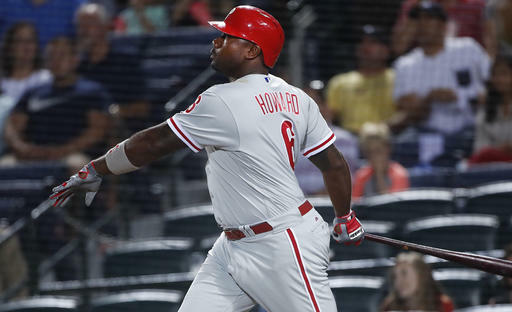 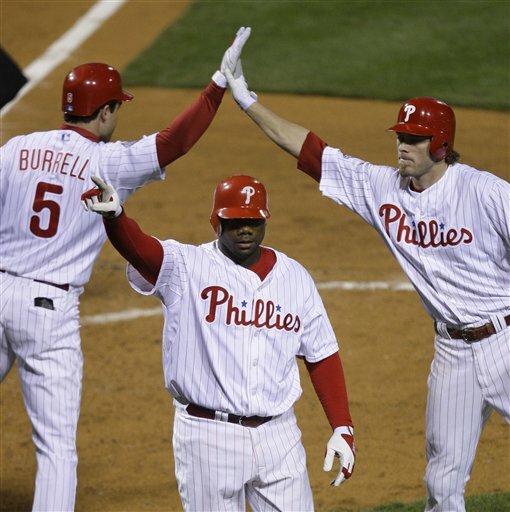 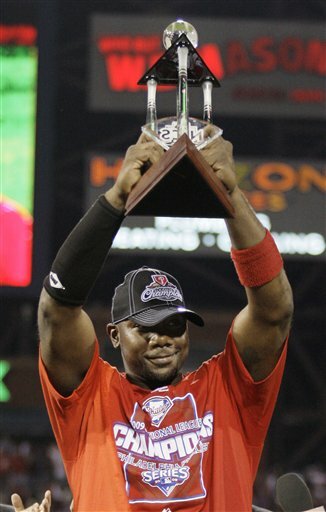 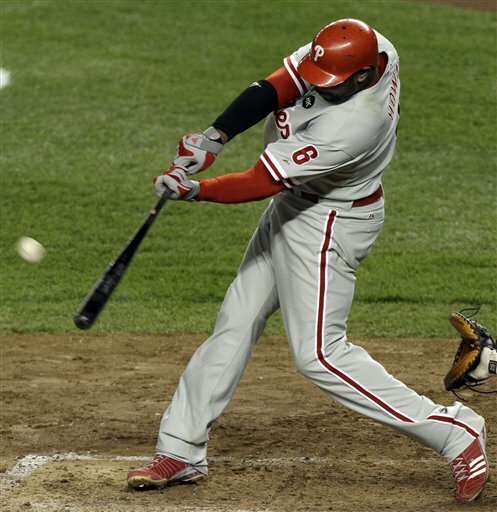 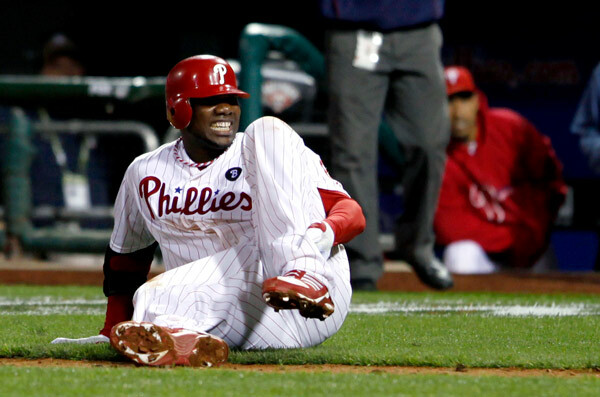 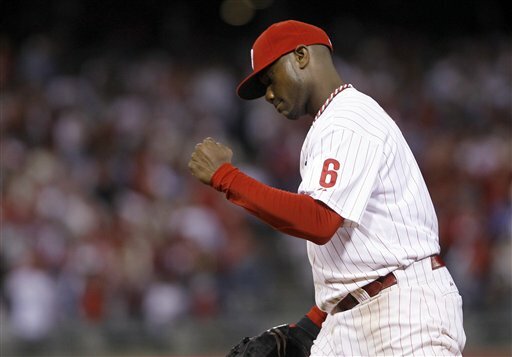 PHILADELPHIA (WPVI) -- Ryan Howard is taking a big piece of Philadelphia Phillies history with him. 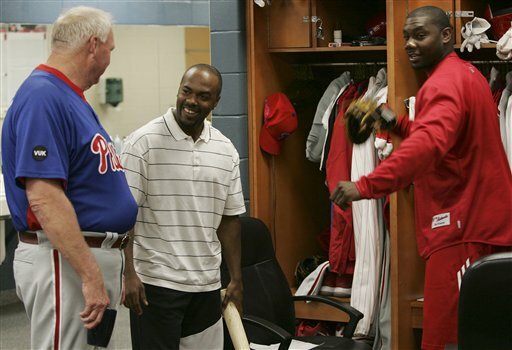 The Phillies honored Howard before Sunday's season finale in South Philadelphia. 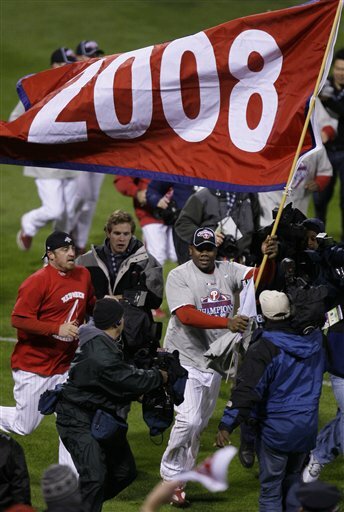 He was the heart of the 2008 World Series Champions - and the teams before and after. 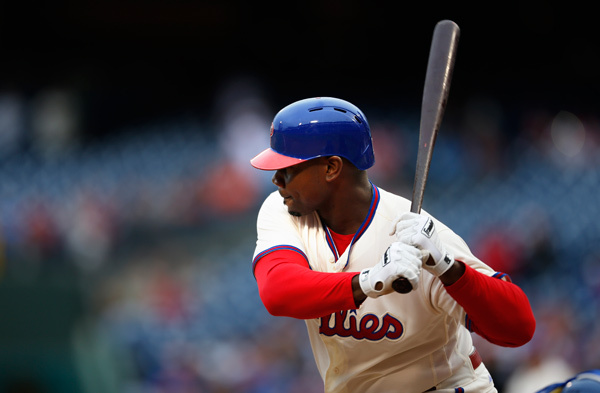 Howard's legacy includes a history of big-time home runs. 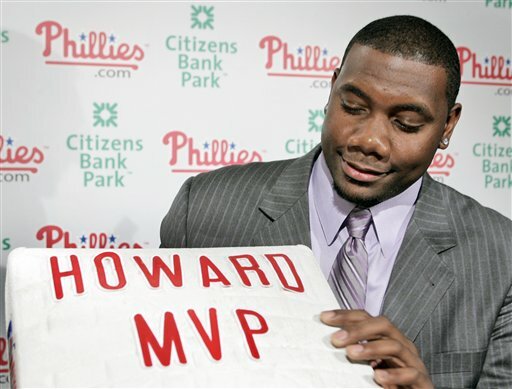 Howard has also been a winner off the field, too. 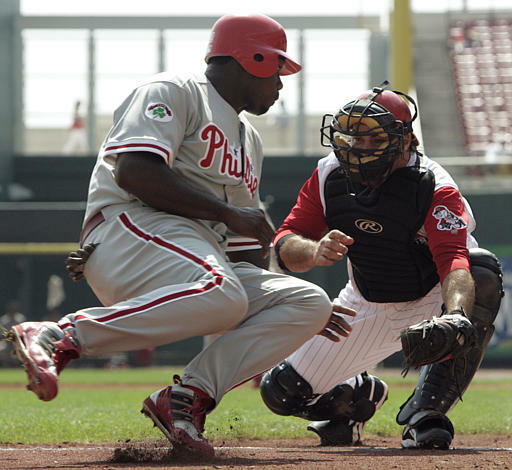 Ryan Howard is leaving a legacy on and off the field. 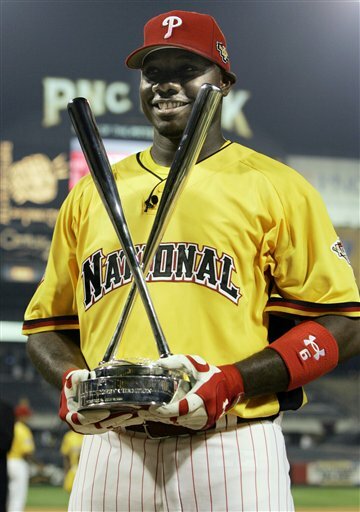 His charitable foundation challenged kids to read. 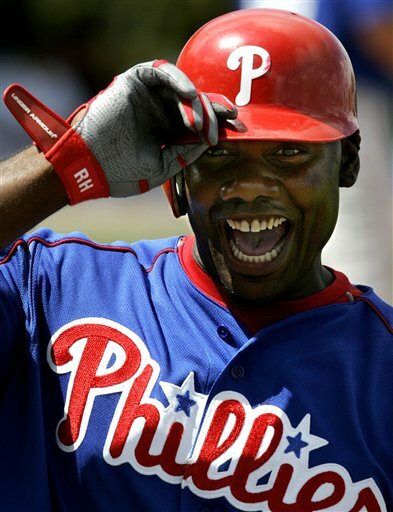 A posh, baseball style library in South Philadelphia was a gift to children who accepted that challenge and thrived. 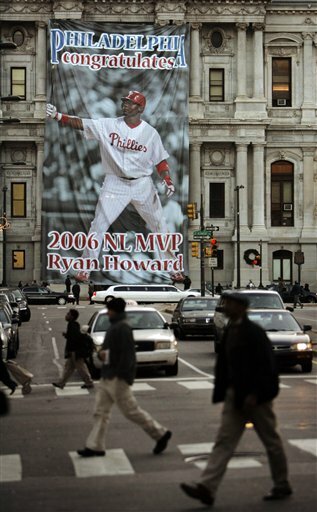 Ryan made an appearance for fans at the 6abc Dunkin Donuts Thanksgiving Day Parade. 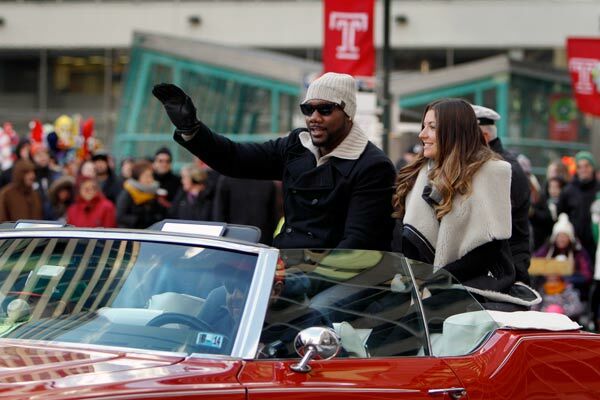 Philadelphia Phillies first baseman Ryan Howard, left, and his wife Krystal Howard ride in a convertible during the 94th annual Thanksgiving Day Parade, Thursday, Nov. 28, 2013. 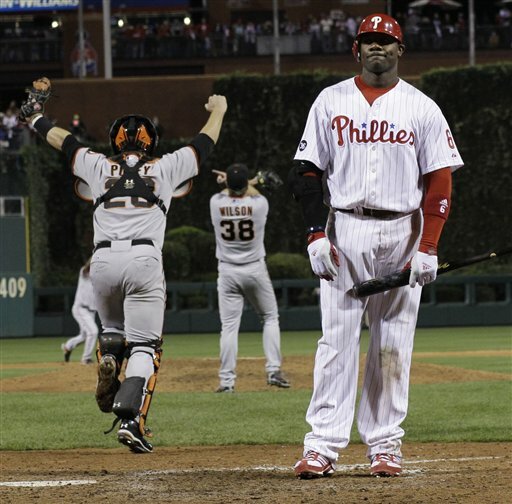 He also took time out of a 2009 dinner date to pose for pictures with newlyweds. 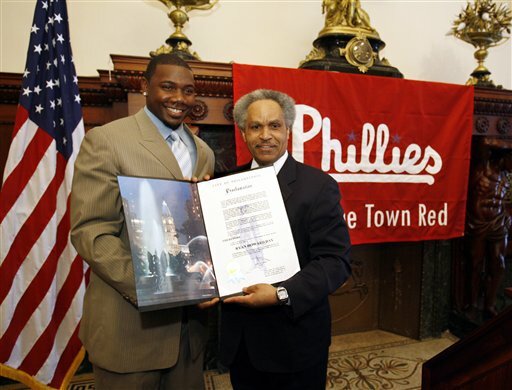 By coincidence, that couple happened to be having their wedding party at the Waterworks where Howard and his wife were eating. 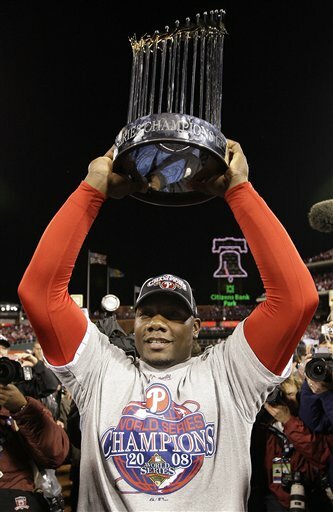 Even being in the middle of the World Series did not stop Howard from making their dream come true.